The main priority of every doctor is the health and well-being of their patients, as well as the longevity and high quality of their lives. To achieve these goals, it is necessary not only to develop a plan for the prevention and treatment of diseases suitable to the patient, but also to make sure that all one’s recommendations are adhere to strictly. This can be possible only if a good connection between the doctor and the patient is maintained. Technology now is a big part of our lives. Medicine is no exception. The world's leading medical communities (e.g. 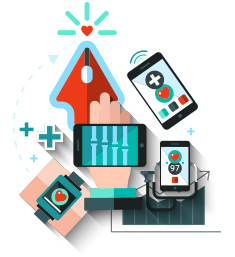 the ADA, the CDC) recommend the use of telemedical technologies for the management of patients suffering from chronic diseases. Qapsula, an interactive support system has been created for such purposes. It allows medical practitioners to provide their patients with a quick and convenient way to communicate. Qapsula will become an indispensable assistant to health professionals, and will make healthcare simpler and more accessible. Every therapeutic regimen corresponds to a set of actions: it includes drug administration, various measurement parameters, tests, regular examinations and adherence to a healthy lifestyle. It may be rather difficult to explain to patients what, when and why something should be done. It is almost impossible to monitor effectiveness of patient’s prescriptions and their compliance with treatment. The Qapsula algorithm for managing patients with various diseases allows for controlling the treatment more effectively. We have created our algorithms for a multitude of medical conditions. You can simply upload your recommendations to the system. 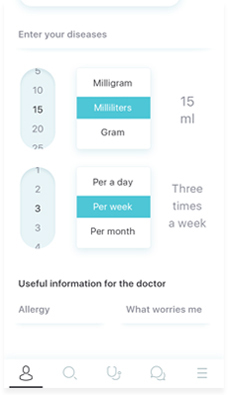 Then using these recommendations, we will make a personal tracker that will make it easier for your patients to follow the course of treatment. 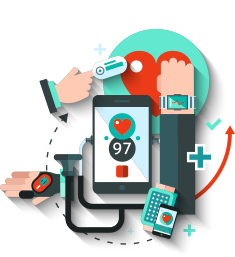 Reminders – they help patients remember to take medicine or measure blood pressure, which increases compliance with treatment resulting in better outcomes. Qapsula will remind you that it's time to refill a prescription and tell you where the nearest pharmacy is located. Chats with patients — in which they can easily ask questions about health online and video consultations with different specialists allowing patients always stay on top of their treatment regimen and to providing help at a time convenient to them. 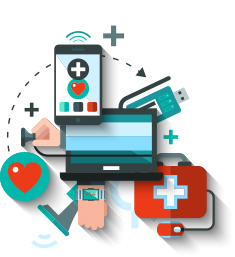 More available communication and quick data exchange (test results, vital signs, general health information) make it possible to always know about the condition of your patients, understand them better and to help them take better care of their health. Tracking geolocation – Qapsula will tell your patients about the health benefits of physical activity and will monitor it carefully using geolocation data. 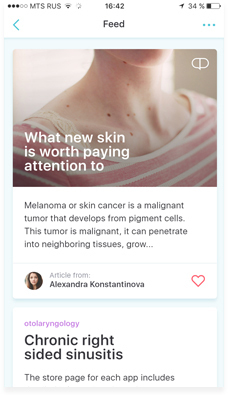 The Qapsula knowledge base – will provide patients with accessible and useful information about their medical issues, their possible complications, a drug’s mechanism of action. Such an informed approach will help patients be aware of their problems and take an active role in their own treatment. A personal tracker for your patient: how does it work? Anytime and anywhere, staying in touch with a patient is the key to successful treatment. That's why we created a personal tracking system for your patients. 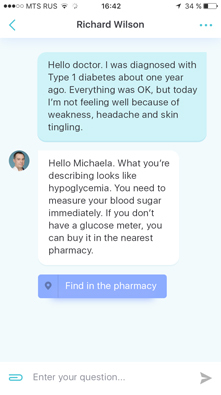 We will make a personal tracker for your patient which will be able to monitor the condition, send reminders about taking medications, monitor vitals like blood pressure or glucose levels, and setting appointments with a doctor. How to join Qapsula and start earning? 1. Complete the registration by filling in your professional license number confirming your professional status. 2. 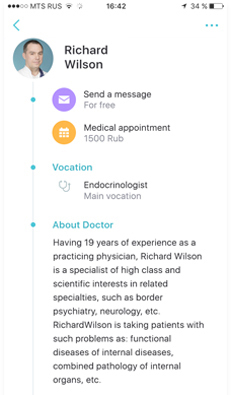 Fill out your profile in detail so that patients can learn more about you. 3. Hold consultations and monitor the status of your patients from Qapsula’s online clinic or answer questions which new patient-users have posted. 4. Give out business cards to your patients with your Qapsula virtual reception area contacts and create personalized recommendations for them. 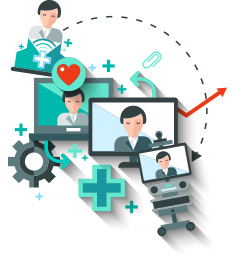 The telemedical system and the possibilities of modern technology will allow you to improve the level of efficiency of your work in healthcare. Helping more people feel better and live longer comes as the result of our remarkably strong resources. You will have the opportunity to help many patients online in your virtual practice, which means that you can increase and complement your real-world practice. This is possible due to your Qapsula virtual reception area where it is easy to hold video consultations, answer patient’s questions online and monitor their conditions to achieve greater results in the treatment. Databases on Qapsula also provide you access to new patients all over the country. The opportunity to send you lab results, documents, photos and test parameters in advance of an office visit will help you treat patients in less time as well as save time for more patients. In addition, keeping in touch with patients remotely, monitoring their conditions and giving advice will help to make your working time more flexible. We offer payment to our doctors for consultations which they’ve completed using Qapsula’s system. If the patient wants to receive future consultations, it can be done on a paid basis in your office/clinic, increasing income and treatment outcome. Our aim is to make people feel better and their lives easier wherever possible. It makes no difference whether they want to improve their health, cure acute disease, or manage a serious chronic condition – Qapsula is there to help you provide patients with everything necessary for taking the best care of themselves.